Booting a computer from CD/DVD is sometime problematic. There may be the several problems like CD scratches, CD drive problem etc. So, it may be good choice to use USB boot option to boot the computer. 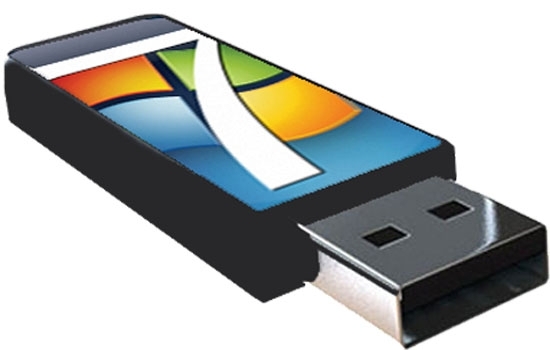 To boot from USB, some steps to be followed before making the USB bootable. Have the ISO image file or problem free CD of windows. Have a USB drive of minimum of the capacity that can store the entire boot files. Insert the USB disk on the USB port. On the first step (i.e. Choose ISO file), Click Browse to locate the ISO file. After locating the ISO file, Click Next. On step Two (i.e., Choose Media Type. ), select USB device. On step Three (i.e, Insert USB device), choose the appropriate USB device. It will take several minutes to copy the files (depending on the system). After completing the copy, click start over. Finally the USB is ready as bootable disk. Now configure the BIOS to boot from the USB. Microsoft .NET Framework 2.0 must be installed. It can be downloaded. Microsoft Image Mastering API v2 must be installed. It can be downloaded.